I’m always thinking about how our health choices can often have unintended consequences and how we might reframe our perspective to come to a better approach. One of the areas I’ve given a lot of thought to is the obsession over eliminating germs and being clean. Obviously good hygiene and awareness of germs has been a good thing for humanity as a general rule but I think it’s certainly gone too far and is costing us more than we might ever know. As discussed many times before, I (and many others) think the fear or germs and the hyper sterile modern humans and environments is certainly weakening our immune systems and creating super pathogens that adapt to survive, leaving many of us more vulnerable than ever before, despite being exposed to way less germs than any time in human history. Purel and antibacterial wipes aside, what are two common ways we get rid of germs? Washing hands and taking showers. Seems innocent at first but think of this: how much water do we use while washing our hands and bodies constantly? That’s 26 gallons a day just from washing your hands twice and taking one shower. Almost 3 billion gallons per week- just from 1/2 of Californians taking one 5 minute shower a day and hand washing twice a day. Not to mention the people who wash their hands 5,10,15 times a day. Or those who take more than one shower or for more than 5 minutes. The amount of water being used for these hygiene practices is mind blowing. And why? So we aren’t too dirty? So we don’t smell a little bit? So we always have clean hands and body? Are germs and dirt that bad? Would it hurt us to back off a bit? Could we benefit from a little less washing? What if we each took one or two less showers a week? 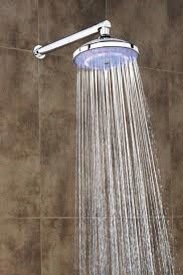 If every Californian we calculated above took one less shower a week, we could save 375,000,000 gallons a week. That’s 1.5 billion a month. 18 billion a year. All from taking one less shower a week. What if we took two less showers a week? Double that number above. 750 million gallons of water a week. That’s not even asking people to give up showers, just two a week. You’re still taking 5 showers (or more) a week. Or what if the people who take 10-15 minute showers cut their time down a few minutes each time or gave up just one of those showers a week? We are talking about massive amounts of water saved. Hand washing is pretty minor compared to showering so I’ll simply say that if people who wash their hands frequently (5+ times, which I’m guessing might be 10% of Californians, equalling 3 million people) were to wash their hands once less a day it would save the state 1.5 million gallons of water a day, 10.5 million a week, 42 million a month and 504 million a year. Minor but it adds up. Almost 20 billion gallons of water a year saved from 1/2 of Californians taking one less shower a week and 10% washing their hands once less a day. That’s also without even taking a look at things like people washing their faces, shaving, brushing teeth and washing dishes, all of which are probably also overdone. – The more the skin is washed and soaped, the more it loses it’s natural oils, including vitamin D that has just been synthesized from sunlight. – Bacteria on the skin is good for you. This is a big one- if you don’t agree or believe me, just wait. – Depending upon the person- this is extra time in your life. When you think of the actual time from start to finish, taking a shower is anywhere from 5-30 minutes. We are always saying time is such an issue- What could you do with that time? What if we just sat down and relaxed? Or stretched? Anything is possible. – Use less water and the water bill goes down. – A little less shampoo and soap every week adds up over the year too. Our obsession with cleanliness is making our drought problem worse. We will lose little but gain a lot if we all think about trimming our washing a bit. Your skin, time and wallet will thank you for it and the state, country and world in general benefits tremendously from a bunch of us being a bit more conservative with our washing. P.S.S. I kid you not, as I was writing the beginning paragraphs of this post a guy returned to his car in the parking lot (from Starbucks) and sprayed his hands with cleaner, wiped them clean and threw the paper towel on the ground. What?? Next Cholesterol & Thyroid: Connected?